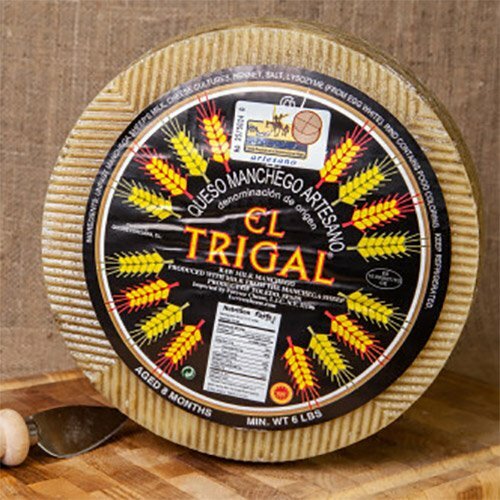 A genuine cheese from the La Mancha region, this artisan Manchego originates on small Spanish hillsides where flocks of La Mancha sheep graze. The small-scale, artisan production of this Manchego by Dehesa de los Llanos yields an exquisite cheese that is hand-formed, wrapped, and salted over a 24 hour period. Dry cured for one year in an eighteenth century cave, this Manchego has a robust flavor reminiscent of the Mancha countryside. Enjoy it as the locals do - served before the meal, topped with a spot of membrillo (Spanish quince paste). Also lovely when dipped in honey. If you have any questions about this product by Dehesa de los Llanos, contact us by completing and submitting the form below. If you are looking for a specif part number, please include it with your message.